Profit isn’t everything, it’s the only thing. Safety programs keep the D’s aka Death, Disabilities, Disaster’s, Dilemma’s, Disgust, Despair, Disputes, etc. at bay. The D’s are always finding liability for the lazy company to destroy the works that you will ultimately be judged by – for the next opportunity. 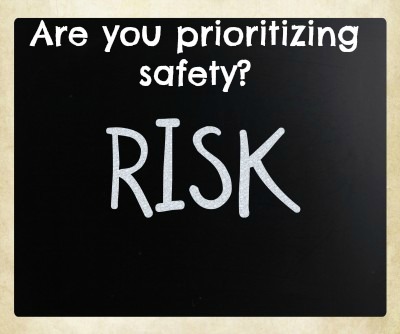 Not establishing an effective safety program means you are inviting financial deficits. 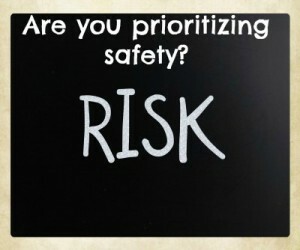 Many say safety regulations drive safety programs. R I G H T…did you catch my sarcasm there…let me try again…R I G H T…Aaahhh that’s better… That is like saying speed limit signs keep you from speeding. It’s not the responsibility that keeps you from speeding it’s the flashing lights of an officer holding you to some accountability. Company owners look at maximizing word of mouth business, bidding solicitations effectively, production techniques, marketing savvy and logistics to make business altering decisions that positively effect profit. Yet when it comes to effective programs for health and safety in the workplace, the same great minds toss their financial security and business acumen to a template stamping safety department with little or no experience within the “business of business”. Sure they had spelled the industry of their prospective employer correctly on their resume and know the buzz words, but where is the day to day grit to Git-R-Done…MAKE A DECISION…and GO in the name of safety! HEY…That’s a good start right?